Is Momentum available on mobile (iOS/Android)? The mobile version of Google Chrome does not currently support installing extensions. Developing Momentum's very own on iOS and Android application is absolutely planned for the future though. We appreciate your patience and support as we work towards this goal. 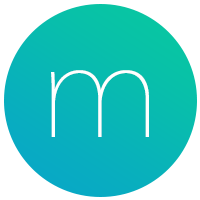 If you send a message at help@momentumdash.com asking to be added to our mobile notification list, we'll contact you as soon as a mobile version of Momentum is available. It is worth noting that Momentum Plus members can access and edit their connected Todo lists on their mobile devices, by downloading the mobile application of the third-party integrations that are available within Momentum. For example, the changes you make within Momentum's Todoist integration will instantly sync with Todoist's application on your mobile device (and vice versa). Is Momentum available on Safari? Is Momentum available on my desktop?